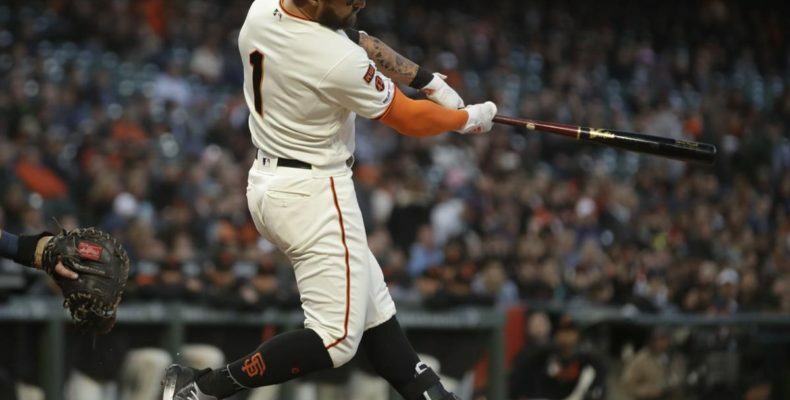 The Giants beat up on the Padres of San Diego 7-2, thanks to four more RBIs by their newfound slugging center fielder, Kevin Pillar. Mr. Pillar now has eight, yes eight, runs slugged in the past two nights. That’s some serious production and a breath of fresh air for a team (and a fanbase) desperate for some positive vibes and a little consistency at the plate to take the pressure off the pitching staff. Derek Holland was his usual sturdy self, pitching seven strong innings allowing only one run on nine strikeouts and two walks. 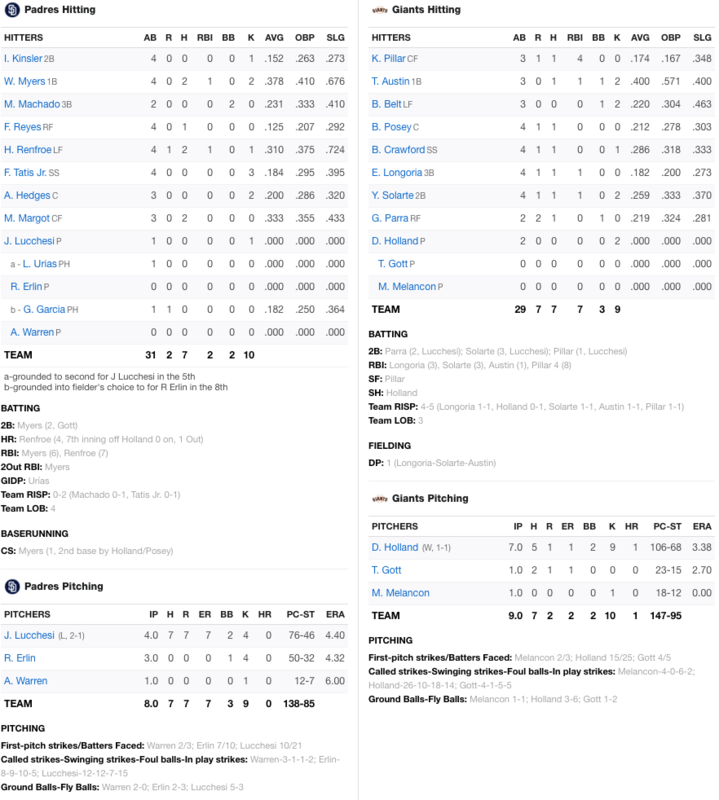 This was a fun night at the yard that saw Brandon Belt collect his fourth outfield assist (of his career and first of the season) and Tyler Austin get another hit and RBI. Today at 12:45 Willie Mays Field Time, the Giants play the Padres in the rubber game of the tree-game set. Nick Margevicius faces Dereck Rodriguez.